Remember when Pandora was on its deathbed? Yeah, those days are long gone. The service has just raised yet another round of funding, we’ve confirmed. The round was led GGV Capital and participated in by Allen & Company, They’re not disclosing the amount raised, but you can bet it’s fairly substantial considering that their last round in July of last year was $35 million. Up until now, Pandora has raised just about $57 million in total. The new money will be used to further fuel growth and invest in new resources, the company says. Back in April, the company passed the 50 million user mark (up from 40 million the previous December) just as they launched their new iPad app. Mobile growth has been a key for the company, and it’s likely to explode even further with the launch of the iPhone 4.0 OS which will allow Pandora to run in the background for the first time. Despite the restraint, Pandora has been one of the top downloaded apps of all time in the App Store. But the new iPhone ability may bring with it some issues as well. Since it’s undoubtedly going to be used a lot more, Pandora is going to be streaming a lot more music for free (currently, music is served for free until you hit 40 hours in a month, then you’re asked to pay $1 to get unlimited access). The more music Pandora streams, the more it has to pay to the labels and artists. Of course, more music also means the more ads it can serve up (most of Pandora’s money comes from advertising). Pandora has also been signing deals left and right with other device makers, and even car companies to extend the service’s reach. Pandora’s last round of funding came right after it was officially saved following a comprise reached between webcasters, artists, and record labels on Internet streaming music rates. Thanks to that deal, its new freemium model, and the improving ad market, Pandora was able to go from a near-death experience to profitability in the course of just a few months. 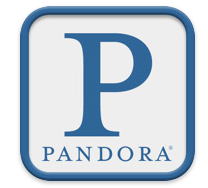 Earlier this year, the New York Times reported that Pandora had hired Steve Cakebread to be its new CFO. Cakebread was the CFO at Salesforce.com when it went public, so that was seen as a possibility the company was looking at. But with this new money, that seems to be off the table, for now at least.